In Israel, Ariel Sharon's Family Gathers At His Bedside : The Two-Way The former prime minister has been in a coma since suffering a stroke in 2006. This week, doctors said his condition has worsened. Sharon is 85. 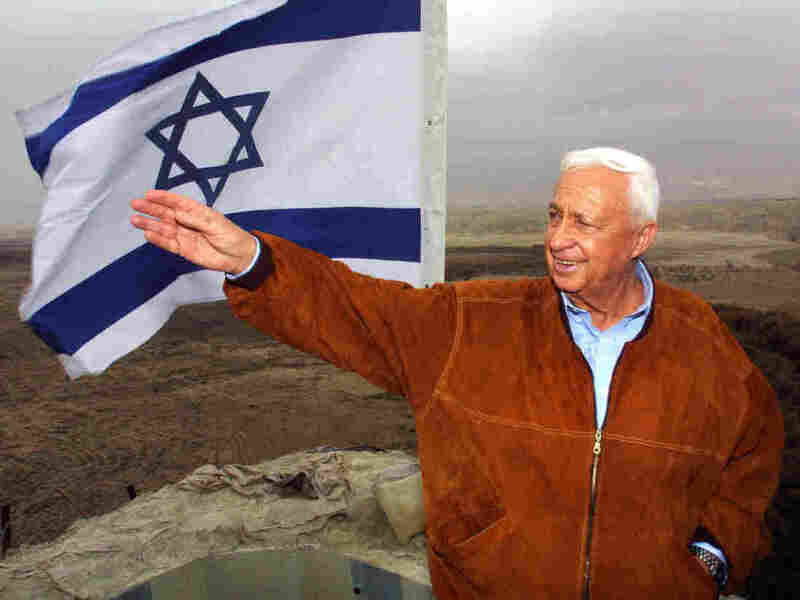 Former Israeli Prime Minister Ariel Sharon in 2001. Doctors in Israel say that former Prime Minister Ariel Sharon's "already critical medical condition is deteriorating further as key bodily organs continue to decline," The Associated Press writes. Dr. Zeev Rotstein, director of Tel Hashomer hospital near Tel Aviv, told reporters that members of the 85-year-old Sharon's family are by his bedside, the AP adds. The news follows word earlier this week that Sharon, who has been in a coma since suffering a stroke in 2006, was suffering additional problems. "Ariel Sharon's days are numbered, hospital director says." Haaretz writes that "responding to a forthright question of one reporter asking whether Sharon would die, Rotstein said that in his opinion Sharon's days were numbered, but that the doctors treating him 'remain hopeful.' "